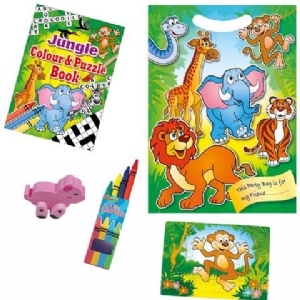 "Zoo" Filled Party Bag. Do you use hundreds of party bags every year? If so, let us take the hassle out of making them up. Each bag contains 4 good toys, which may vary with stock availability. Ideal for adventure playground, party venue or retailer.